Celebrating the life of Robert Lee Tucker, Sr.
Obituary for Robert Lee Tucker, Sr.
Robert Lee Tucker Sr., 61 of Union Grove NC went to be with the lord on Sunday, March 31, 2019 at Gordon's Hospice of Statesville. 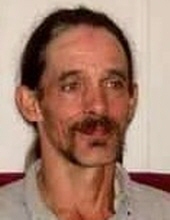 He leaves behind two children, Christopher Lee Tucker (Nikki) and Robert Tucker Jr. (Catlyn) of Statesville. He also had five grandchildren that were his heart and soul. Zackary Tucker, Joshua Tucker, Hannah Tucker, Grayson Tucker and Emalyn Tucker all of Statesville. Robert loved spending quality time with his grandchildren. One of his favorite things to do was to come watch the grandkids play sports. He also loved playing outside with the kids and would do absolutely anything for them or his boys. Our hearts will forever hold that special place for him and he is greatly missed. To send flowers or a remembrance gift to the family of Robert Lee Tucker, Sr., please visit our Tribute Store. Receiving for family and friends. "Email Address" would like to share the life celebration of Robert Lee Tucker, Sr.. Click on the "link" to go to share a favorite memory or leave a condolence message for the family.